Happy Monday, friends! I can hardly believe that we are two weeks away from Christmas. How are you all doing on your shopping and holiday prep? Aside from a Black Friday order from the Disney Store and GAP for the boys, we’ve pretty much done next to nothing. So, my goal this week is to start and finish my Christmas shopping! I’m actually quite excited about the ideas we have for the boys, so I think it’ll be fun to get everything put together. The holidays at home are looking pretty good though. We’re going to be finishing up decorating over the next couple of days. Although this snow and FREEZING cold will probably mean we don’t get lights on the outside of the house – Clint totally lucked out with that one! 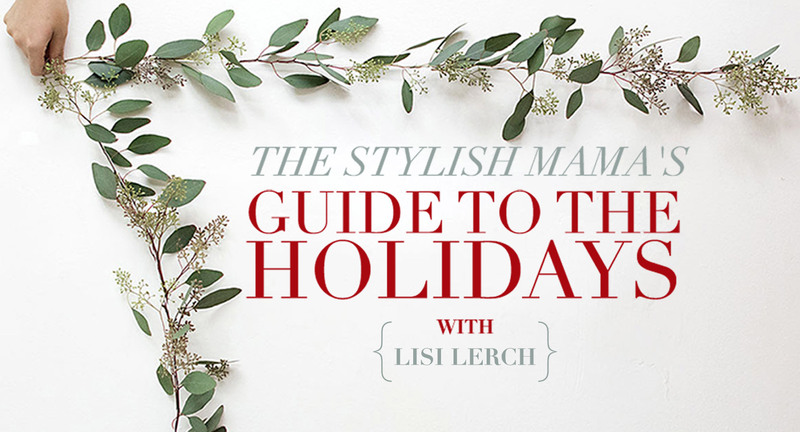 For this week’s Mommy Monday, we’re partnering with another group favorite: Lisi Lerch. 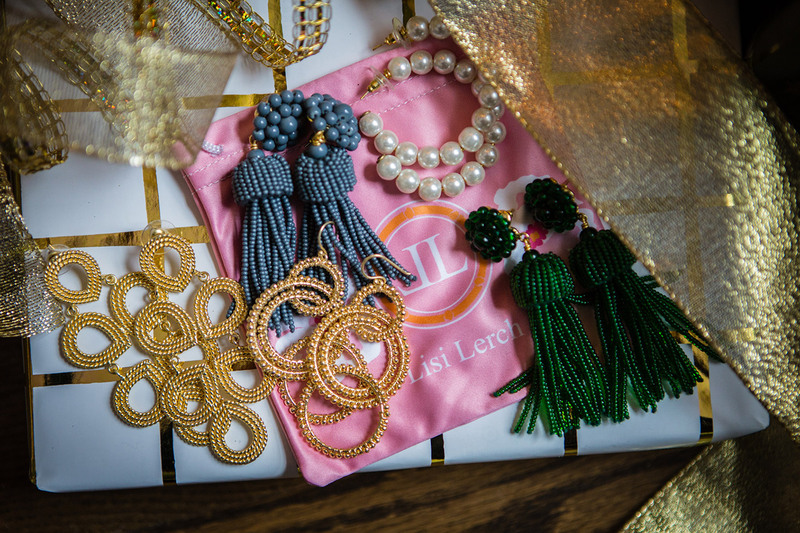 When I need fun earrings, I have a couple of go-tos and Lisi Lerch is often my first stop – as you can see, I’ve gathered a pretty good collection (and that isn’t all of them!). I just love that she has so many statement styles in so many colors, so the odds of you finding a pair that goes with a certain outfit (or every outfit) are pretty darn good. PLUS all of my favorite styles are under $100 and would make awesome gifts for your mom, sister or girlfriends! The Ginger earrings I’m wearing are a new favorite for me and they’re definitely my “goes with everything” earrings. I find that they go well when you’re dressed up (I wore them with this suit for the wedding we went to last week) or even like I’m wearing them in this post with just a sweatshirt and jeans. They instantly add style and fun to an outfit, and I’ve been wearing these a lot. The Emily earrings are another favorite of mine, they’re super lightweight and fun. Both of those styles come in gold but also come in beaded colors that are really pretty.